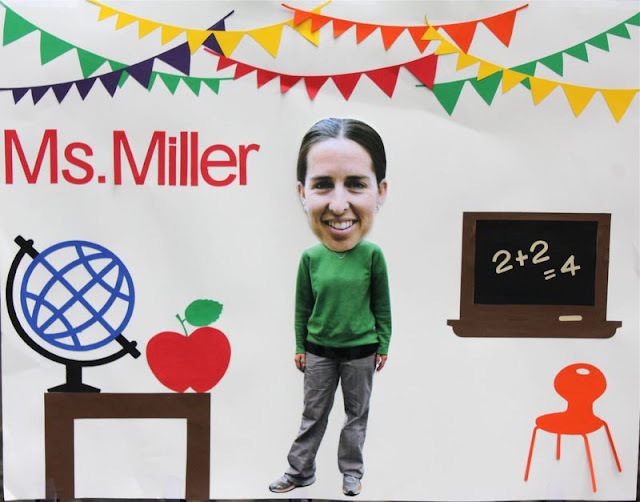 If you are looking for a fun and unique take on a traditional party game for your end of the year school party, check out this fun pin the head on your teacher game! Same rules as the traditional pin the tail on the donkey, but a lot more fun for kids. You can check out this fun end of school year party game and more over at One More Moore.